How much money do you have in your savings account at the moment? If you don’t have anything saved up at all, you are, unfortunately, not alone. Studies have shown that about 35 percent of Americans currently have $0 in their savings accounts. And an additional 35 percent of people only have a few hundred dollars in savings. You can change your life and improve your future by setting more money aside for savings in 2019. And contrary to popular belief, it’s not as difficult as you might think to start saving a little bit of money at a time. It’ll add up over the months and years and make your life substantially better. Here are 7 simple strategies that will help you start saving money more effectively. 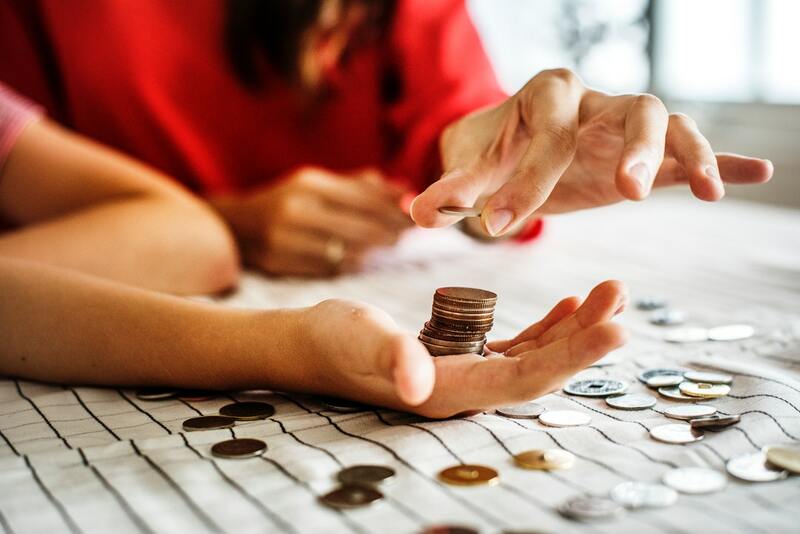 If you’re going to make an effort to get your personal finance issues in order, the very first thing you should do is begin using a monthly budget. A budget can keep you and your family on track as far as your finances are concerned. At the beginning of every month, make a list of how much income you’re going to bring in versus how many expenses you’re going to have. If you find that your expenses exceed your income, you have a problem on your hands. You’ll need to scale back on your expenses right away. By budgeting your money, you’ll give each and every dollar that you spend a job. This will decrease the chances of you wasting money and allow you to start saving money that you have left over at the end of every month. Americans have more than $13 trillion in debt collectively. This includes everything from credit card debt and medical bills to mortgages and student loans. If you’re carrying around any debt at the moment, it could be costing you dearly and making it just about impossible to save. You should make it a point to eliminate your debt as quickly as possible so that you don’t have it hanging over your head all the time. There are different ways to get aggressive when paying down debt. Some people prefer to use debt consolidation, while others use techniques like the debt snowball. Find the debt solution that you think will work best for you…and stick with it! The quicker you can get rid of your debt, the quicker you can start saving more money up. Are you routinely using coupons when you take trips to the grocery store, the pharmacy, and all of the other places you visit on a weekly basis? If not, you’re leaving money on the table every single time you check out at the register at one of these places. The internet has made it easier than ever to find coupons for just about any store. When you know you’re going to be taking a trip to a store, look around for coupons for that store first. You could save a significant amount of money by putting coupons to good use. Do you eat out at restaurants several times every week? Or do you buy lunch almost every day instead of bringing a bagged lunch to work? You might be under the impression that this isn’t costing you too much money. But in reality, studies have shown that the average American spends more than $3,000 every year eating out. It’s not a crime to go out to eat every once in a while. But every time you eat out, you’re spending a lot more money than you would spend to eat at home. Save eating out for special occasions and eat in more often. You won’t have any trouble saving money when you have an extra $3,000 or so laying around every year. The cable bills in this country have gotten out of control. It costs many people several hundred dollars every month to keep their cable turned on. If you’re sick and tired of paying that much for cable, why not cut the cord and save yourself money? You can keep yourself entertained with an internet connection and a subscription to a streaming service, and it’ll cost just a fraction of what cable does. Is your house filled with a bunch of stuff that you don’t use much anymore? That stuff might not be worth very much to you. But there are probably people out there who would pay good money to get their hands on it. From furniture that you’ve had locked away in the basement for years now to that old baseball card collection sitting in the attic, you can sell the contents of your home and use it to pad your savings account. In order to start saving money, you need to have things that will motivate you. One great source of motivation will be a long list of your long-term financial goals. Build your dream home within the next 10 years? Send your kids to college without forcing them to rack up student loans? You’re going to need plenty of money stashed away in your savings account to do these things. By writing down your goals, you’ll constantly be reminded of why you’re making such a strong push to save more money. Money can’t buy happiness. But when you have money in your savings account, it can take away some of the stress you feel day in and day out. It can also give you hope for a brighter future. Start saving money now and see what a big difference it makes in your life. By making just a few changes, you can make your financial goals a reality in the not-too-distant future. Read our blog to learn some tips for improving your personal finances even if you have a low income.